(7a) Member States should be encouraged to provide the necessary training during the education of future and current teachers and educational staff on the causes of behavioural changes in children and the possible changes in behaviour to look for. (10a) Child victims should be protected from sanctions and should receive the adequate legal support and counselling even where no criminal proceedings started. (10b) Child victims should not be confronted with visual contact with the offender during criminal proceedings. (12a) Convicted offenders should be prevented from any professional activities that directly involves care for children. This Directive aims to establish minimum rules concerning the definition of criminal offences and sanctions in the area of sexual abuse and sexual exploitation of children, as well as the presentation of child sexual abuse material. It also aims to introduce common provisions to strengthen the prevention of the crime and the protection of its victims. 1. Member States shall take the necessary measures to ensure that the intentional conduct referred to in paragraphs 2 to 11 is punishable. 8. Engaging in sexual activities with a chilor agreeing to engage with a child, irrespective of whether or not the sexual act is committed, where recourse is made to child prostitution shall be punishable by a maximum term of imprisonment of at least fivesix years. (h) the offence involved serious violence or threat or caused or was likely to caused serious harm to the child. Member States shall provide for the possibility ofensure not prosecuting or imposing penalties on child victims of the offences referred to in Articles 4 and Article 5 (4) to (6) for their involvement in unlawful activities as a direct consequence of being subjected to those offences. 2. Member States shall take the necessary measures to enable the prosecution of any of the offences referred to in Articles 3, Article 4 (2) to (3) and (5) to (11), and Article 5 (6) for a sufficient period of timet least 20 years after the victim has reached the age of majority and which is commensurate with the gravity of the offence concerned. In that regard the Commission shall promote harmonisation of the national statutes of limitation in order avoid confusion or mistakes when law enforcement agencies undertake cross-border investigations. 2a. Member States shall create information campaigns advertising the hotline 116, to ensure that children are aware of the existence of the hotline. 1. Each Member State shall adopt a list of the competent authorities entitled to request or receive PNR data or the result of the processing of PNR data from the Passenger Information Units in order to examine that information further or take appropriate action for the purpose of preventing, detecting, investigating and prosecuting terrorist offences and serious crime. Europol shall be entitled, within its mandate, to request and receive from the Passenger Information Units PNR data or relevant analytical information obtained from PNR data that are necessary in a specific case to prevent, detect, investigate, or prosecute terrorist offences and serious transnational crimes. 6. Exchange of information under this Article may take place using any existing channels for international law enforcement cooperation, especially the channels provided for by Europol. The language used for the request and the exchange of information shall be the one applicable to the channel used. Member States shall, when making their notifications in accordance with Article 3(3), also inform the Commission with details of the contacts to which requests may be sent in cases of urgency. The Commission shall communicate to the Member States the notifications received. (10) It is important that the management of the Common Fisheries Policy is guided by principles of good governance. Those principles include decision-making based on bestin accordance with the available scientific advice, broad stakeholder involvement and a long-term perspective. The successful management of the Common Fisheries Policy also depends on a clear definition of responsibilities at Union, national, regional and local levels and on the mutual compatibility and consistency of the measures taken with other Union policies. (50) To ensure the involvement of concerned operators in the Union system for control, inspection, and enforcement, Member States should be able to and the collection of data, Member States must require the holders of a fishing licence of Union fishing vessels of 12 meters length over all or more flying their flag to contribute proportionally to the costs of that system. (51) The objectives of the Common Fisheries Policy cannot be sufficiently achieved by Member States given the problems encountered in the developmentsituation of fish stocks in the EU, the poor profitability of the fishing industry and its management, and the limits on the financial resources of the Member States. Therefore, multiannual Union financial assistance focused on the priorities of the Common Fisheries Policy should be granted to contribute to the achievement of those objectives. The primary purpose of Union financial assistance should be to strengthen control and enforcement measures, the collection of data, research and the development of initiatives to help achieve healthy marine ecosystems. (b) fresh water biological resources,the management of aquaculture, and the processing and marketing of fisheries and aquaculture products, in relation to measures on markets and financial measures in support of the Common Fisheries Policy. 32. '‘sustainable fisheries agreements'’ mean international agreements concluded with another state for the purpose of obtaining access to resources or watersa share of surplus of allowable catch in exchange for financial compensation from the Union. 1. The Union shall participate in the activities of international organisations dealing with fisheries, including regional fisheries management organisations (RFMOs) in line with international obligations and policy objectives and consistent with the objectives set out in Articles 2 and 3must actively encourage and support effective measures for the recovery of stocks, the principles of the sustainability and ecological management of fish stocks, transparency in the processing of data and participation of the stakeholders in international fora dealing with fisheries, including regional fisheries management organisations (RFMOs) in line with the objectives set out in Articles 2 and 3 and the principles of good governance set out in Article 4. There is a need to further the implementation of international commitments, obligations and policy objectives and encourage their fulfilment. 2. Member States shall establish a multiannual national strategic plan for the development of sustainable aquaculture activities on their territory by 31 December 2014. The Commission shall publish an annual report informing the public about the fisheries situation in the EU, including information on the biomass levels of fish stocks, the sustainability of exploitation rates and the availability of scientific data. The specific ex ante conditionalities referred to in Annex III of this Regulation shall apply for the EMFF. (b) permanent cessation is envisaged as an instrument in the action plan stipulated in Article 35 of the [Regulation on Common Fisheries Policy], which indicates that the fleet segment is not effectively balanced in relation to the fishing opportunities given to this segment. 2. The support referred to in paragraph 1 shall be granted to: (а) owners of fishing vessels from the EU, registered as active, which have carried out a fishing activity at sea for at least 15 days a year during the last two calendar years preceding the date of submission of the application, or (b) fishermen who have worked at sea on board an EU fishing vessel affected by permanent cessation for at least 15 days a year during the last two calendar years preceding the date of submission of the application. 3. The relevant fishermen shall effectively cease all fishing activities. The beneficiaries of such support shall submit to the competent national body evidence of the effective cessation of fishing activities. The compensation shall be recovered on a pro rata temporis basis when the fisherman resumes his fishing activity within a period of less than one year since the date of submission of the application. 4. Support referred to under this Article shall be paid only after the equivalent capacity has been permanently deleted from the fishing vessels register of the Union and the relevant fishing licences and authorisations have also been permanently deleted. The beneficiary of the support cannot register a new fishing vessel within five years after receiving the support. A reduction in capacity shall lead to a permanent equivalent reduction inArticle 33а Permanent cessation of fishing activities 1. The EMFF may participate in funding measures aimed at permanent cessation of fishing activities only by means of scrapping fishing vessels, provided that: (a) it is included in the operational programme referred to in Article 20; and the fleet segment’s capacity ceiling. Article 39а Mutual funds 1. In order to support the fishermen’s incomes, the EMFF may support mutual funds covering losses due to: (а) natural disasters; (b) adverse climatic events; (c) environmental catastrophes; 2. For the purposes of this Article, the term ‘mutual fund’ shall mean a system recognised by Member States, in accordance with their national legislation, which allows fishermen to receive compensation for losses caused in the cases referred to in paragraph 1. Legislation. 3. The occurrence of the events referred to in paragraph 1 must be officially recognised by the Member State or by the internal regulations of the mutual funds. (d) on existing ports and, landing sites and boat spaces as referred to in Article 41 and under the conditions set out in paragraphs 1-3 of that Article. 1. In order to foster forms of aquaculture with high growth potential, the EMFF may support investment inThe EMFF may support investments in increasing the production of and/or modernising existing aquaculture enterprises or for establishing new ones, provided that development is consistent with the Multiannual National Strategic Plan for the dDevelopment of off-shore or non food aAquaculture. 2. The Commission shall be emgranted the powered to adopt delegatedimplementing acts in accordance with Article 1501(3) in order to identify the type of operations and the eligible costs. 3. Support shall only be granted for aquaculture stock insurance contracts or mutual funds which cover economic losses under paragraph 1 exceeding 30 % of the average annual production of the aquaculture farmer. (b) ensure that local communities fully exploit and benefit from the opportunities offered by maritime and coastal development and the development of inland waters. 1. Member States shall apply a maximum intensity of public aid of 5060 % of the total eligible expenditure of the operation. 1. By 31 May0 June 2016 and by 31 May0 June each subsequent year until and including 2023, the Member State shall submit to the Commission an annual implementation report on implementation of the operational programme in the previous calendar year. The report submitted in 2016 shall cover the calendar years 2014 and 2015. 1. In addition to Article 134 of [Regulation (EU) No [...] laying down Common Provisions], the Commission may suspend, by means of an implementing act, all or part of the interim payments of the operational programme where the Commission has adopted a decision by means of an implementing act recognising that a Member State has failed to comply with its obligations under the Common Fisheries Policy. Such non compliance shall be liable significantly to affect the expenditure contained in a certified statement of expenditure for which the interim payment is requested. 27. Considers that the EU should work towards an improved system of decision- making in RFMOs to avoid the ‘lowest common denominator’ approach that results from consensus, possibly by making more frequent use of voting; Multiannual plans should be used where possible. 2. In accordance with their respective roles and responsibilities, all organisations participating in the EURES network promote actively, in close cooperation, the opportunities labour mobility in the Union offers and seek to enhance ways and means for workers and employers to seize these opportunities at local, regional, national and European level, especially in regions with a high level of unemployment and few employment opportunities. 2. The public employment services shall actively endeavour to make agreements with other employment services operating on that Member State's territory to ensure the applicability of the principle referred to in paragraph 1 also to online job search tools managed by them. 6a. Within the framework of the Cohesion Policy of the EU, calls on the Commission and the Member States to focus on regions with severe and permanent natural or demographic handicaps as referred to in point 4 of Article 121 of Regulation (EU) No 1303/2013 and develop special provisions with possibilities for alternative employment and occupation, for the marginalised group of women in those communities, characterised by high poverty levels, lack of employment perspectives, voluntary abandonment of education, lack of social services, social isolation -and deriving from this higher risk of child poverty. Ca. whereas the European Social Fund and the European Regional Development Fund play a specific and significant role in fighting against poverty and promoting social inclusion, thus representing a crucial tool in the promotion of greater inclusion of marginalised communities. (e a) Strategic investments of high importance to a specific EU region. (1a) In accordance with Article 78 (2) of the Treaty the Commission should propose to the European Parliament and the Council by the end of 2015 a permanent mechanism for administrating emergency measures in the case that one or more Member States are faced with an emergency situation, characterised by a sudden inflow of nationals of third countries to the benefit of the Member State(s) concerned. (3a) When drafting the permanent mechanism for relocation under Article 78 (2) of the Treaty as an emergency measure, when one or more Member States are faced with an emergency situation, the Commission should provide a definition of the terms "sudden inflow of nationals of third countries" and "exceptional migratory pressure". (6) SeveralThe Member States wein South and South-eastern Europe on the external borders of the EU are confronted with a significant increase in the total number of migrants, including applicants for international protection, arriving on their territories in 2014 and some continue to be so in the first months ofsince 20151. Emergency financial assistance by the European Commission and operational support by EASO were provided to several Member States to help them cope with this increase. (7) Among the Member States witnessing situations of particular pressure in South and South-eastern Europe and in light of the recent tragic events in the Mediterranean, Italy and Greece in particular havare experienceding unprecedented flows of migrants, including applicants for international protection who are in clear need of international protection, arriving on their territories, generating a significant pressure on their migration and asylum systems. (7a) The expert forecast shows an increased migratory pressure in a short- and mid-term perspective on the external maritime and land borders of the EU. (7b) The financial, administrative and technical capacity in the Member States on the external borders of the EU is almost depleted and this impedes the management of the migratory flows. (10) According to Frontex data, another important migration route into the Union since 20141 was the Western Balkan route with 43 357 irregular border crossings. However, the majority of migrants using the Balkan route are not prima facie in need of international, the migration from the Middle East and North Africa, in particular from Syria and Afghanistan through the land borders of Hungary and the borders of Turkey with Greece and Bulgaria. The migratory flow through these borders is increasing protecportion, with 51% of the arrivals being made up only of Kosovarally, regardless of the measures taken in fighting trafficking and smuggling of migrants. (12a) With regards of the expectations for an increased migratory pressure on other Member States on the external borders of the EU, the Commission should guarantee a display of solidarity through drawing up and implementation of a permanent mechanism for relocation under Article 78 (2) of the Treaty. (15a) The temporary measures for relocation by the Commission are only one part of the future holistic policy on migration by creating legal ways for migration, integration programmes, cooperation with third countries and fighting trafficking. (16a) In accordance with Article 78(2) of the Treaty the Commission should come up with a proposal for a permanent mechanism for relocation with strictly defined criteria. (18) A choice had to be made in respect of the criteria to be applied when deciding which and how many applicants are to be relocated from Italy and Greece. A clear and workable system is envisaged based on a threshold of the average rate at Union level of decisions granting international protection in the procedures at first instance as defined by Eurostat out of the total number at Union level of decisions on asylum applications for international protection taken at first instance, based on the latest available statistics. On the one hand, this threshold would have to ensure, to the maximum extent possible, that all applicants who are most likely in need of international protection would be in a position to fully and swiftly enjoy their protection rights in the Member State of relocation. On the other hand, it would prevent, to the maximum extent possible, applicants who are likely to receive a negative decision to their application from being relocated to another Member State and therefore prolong unduly their stay in the Union. Based on Eurostat data for 2014 first instance decisions, a threshold of 75%, which corresponds in that year to decisions on applications for Syrians and Eritreans, should be used in this Decision. (18a) In accordance with Article 78(2) of the Treaty the Commission should propose criteria to determine the applicants who will be relocated, as well as the Member States for relocation. (20a) When drafting the permanent mechanism for relocation under Article 78(2) of the Treaty, the Commission should include the territory of a Member State as a criterion for determining the distribution key of migrants. (21a) The Commission should control the spending of the sum of EUR 6000 for the relocation of each applicant. (24) NGuaranteeing the national security and public order should be taken into considerationin Greece and Italy, as well as in all other Member States is of an utmost importance throughout the relocation procedure of the applicant, until the transfer of is implemented. It is essential to strengthen applicant is implementednd further develop the cooperation between the European and national law enforcement agencies when screening and identifying the applicants. (26) In addition, in order to decide which specific Member State should be the Member State of relocation, specific account should be given to the specific qualifications of the applicants concerned which ccultural and linguistic ties, social-economical conditions and the needs of the Member State of relocation including the provisions of the Regulation EU (604/2013), as well as broader family ties, going outside the scope of this Regulation. All this should facilitate their integration intof the Member State of relocation, such as their language skillsasylum seekers. Where appropriate, their own preferences should be taken into account. In the case of particularly vulnerable applicants, consideration should be given to the capacity of the Member State of relocation to provide adequate support to those applicants. (27) The appointment by Member States of liaison officers in Italy and Greece should facilitate the effective implementation of the relocation procedure, including the appropriate identification of the applicants to be relocated, taking into account in particular their vulnerability and qualifications and, as far as possible, their preferences. 2a. It is necessary to include a review clause at the end of the first year of implementation. 3. As soon as possible after receiving the information referred to in paragraph 2, Member States shall inform about the available capacity for reception of migrants and indicate the number of applicants who can be relocated immediately to their territory and any other relevant information, within the numbers set out in Annex I and Annex II respectively. (d) the implementation of the transfer of the applicants to the Member State of relocation. The transfer costs to the Member State of relocation should not be an additional burden to Greece and Italy. Italy and Greece shall report to the Council and the Commission on the implementation of this Decision, including on the roadmaps referred to in Article 8, every threesix months. (1) ‘external borders’ means the land and sea borders of the Member States and their airports and seaports, to which the provisions of Title II of Regulation (EC) No 562/2006 of the European Parliament and of the Council 38 apply, including those Member States to which provisions of the Schengen acquis on lifting internal borders are yet to apply; __________________ 38 Regulation (EC) No 562/2006 of the European Parliament and of the Council of 15 March 2006 establishing a Community Code on the rules governing the movement of persons across borders (Schengen Borders Code) (OJ L 105, 13.4.2006, p. 1). 1. To ensure a coherent European integrated border management at all external borders, the Agency shall facilitate and render more effective the application of existing and future Union measures relating to the management of external borders, in particular the Schengen Borders Code established by Regulation (EC) No 562/2006, contribute to the identification, development and sharing of good practices and promote EU border management legislation and standards with a particular focus on fundamental rights and international protection. 1. Members of the teams shall have the capacity to perform all tasks and exercise all powers for external border control and return as well as those which are necessary for the realisation of the objectives of Regulation (EC) No 562/2006 and Directive 2008/115/EC, respectively. (6 a) Th European Border and Coast Guard is intended to replace Frontex in order to ensure a European integrated border management at the external borders with a view to managing migration effectively and ensuring a high level of internal security within the Union, while safeguarding the free movement of persons therein. In accordance with the Treaties and their Protocols, the Member States to which provisions of the actions under this Regulation. 1. To ensure a coherent European integrated border management at all external borders, the Agency shall facilitate and render more effective the application of existing and future Union measures relating to the management of external borders, in particularcluding the Schengen Borders Code established by Regulation (EC) No 562/2006. 52. Acknowledges the recent Commission proposal for a Union list of safe countries of origin, amending the Asylum Procedures Directive13 ; observes that if such a Union list would become obligatory for Member States it could, in principle, be an important tool for facilitating the asylum process, including return; Suggests, however, that this EU list should be flexible, i.e. under serious circumstances and comprehensive evaluation the EU institutions and the Member States should __________________ 13 Directive 2013/32/EU of the European Parliament and of the Council of 26 June 2013 on common procedures for granting and withdrawing international protection (OJ L180, 29.6.2013, p. 60). 8 2015/2226(INI) How can the CAP improve job creation in rural areas? 6g. Recommends that the Commission support the Member States in developing innovative measures and programmes with which to help Member States better benefit from the EFG. (i) The circumstances mentioned in this Regulation for which the EU would be enabled to respond must nevertheless be accompanied by a robust set of guarantees and measures to protect human rights, along with reports and statistics supplied by the European agencies and the competent law enforcement authorities. 1. във вид на финансови средства: (*) предоставена от 2. във вид на персонал: (*) предоставена от 3. във вид на материали: (*) предоставена от (*) Самоличност на съответното(ите) трето(и) лице(а). Финансов интерес: 1. 4/6 BG 2. 3. CV/0 deleted Bachelor and Master's degree in Bulgarian and French Philology from St Clement of Ohrid University, Sofia (1983-1989). Specialist studies at the Ecole nationale d'administration (ENA), Strasbourg (2007). CV/1 deleted Bulgarian National Television: editor and presenter of the news programme 'Novini'; director of the News and Current Affairs department (1990-1997). CV/2 deleted Director of the press service of the Bulgarian Socialist Party (1997-2005). CV/3 deleted Member of the Supreme Council of the Bulgarian Socialist Party (since 2000). CV/4 deleted MP in the National Assembly of the Republic of Bulgaria (2005-2007). CV/5 deleted Member of the Socialist Group in the European Parliament (2007-). Bachelor and Master's degree in Bulgarian and French Philology from St Clement of Ohrid University, Sofia (1983-1989). Specialist studies at the Ecole nationale d'administration (ENA), Strasbourg (2007). Bulgarian National Television: editor and presenter of the news programme 'Novini'; director of the News and Current Affairs department (1990-1997). Director of the press service of the Bulgarian Socialist Party (1997-2005). 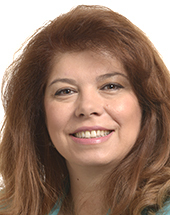 Member of the Supreme Council of the Bulgarian Socialist Party (since 2000). MP in the National Assembly of the Republic of Bulgaria (2005-2007). Member of the Socialist Group in the European Parliament (2007-).